Sound absorbing and tackable (straight pins recommended) flex screen. 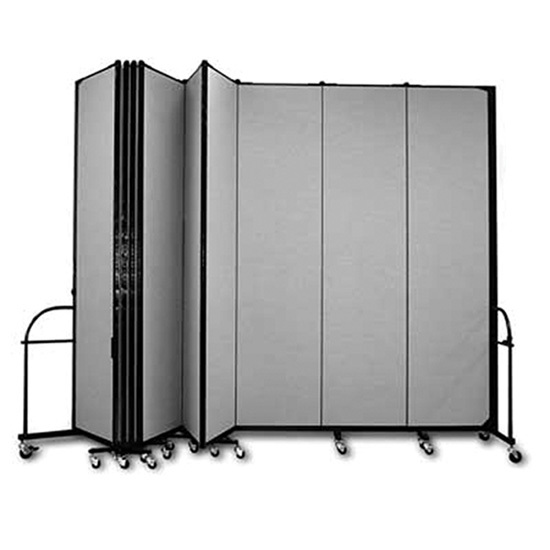 We carry 24'W x 72"H only and panels are about 22"W each (13 panels to the 24' length). Please visit screenflex.com for layouts and additional information.